Trademark with the United States Patent and Trademark Office in Washington D.C.
Click on image to view closely. 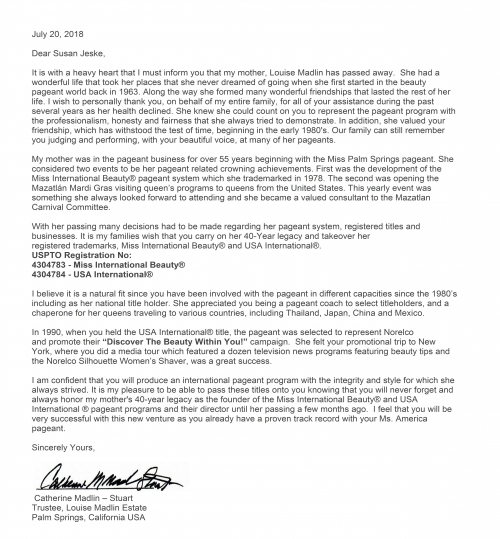 Letter from Louise Madlins daughter asking Susan Jeske to carry on her mothers 40-year legacy and takeover her pageants and registered trademarks, Miss International Beauty and USA International. Click onto letter to read closer.